I’ve written a lot about this over the last few years, but here’s an ABF quick re-cap of this paradigm-shifting transit, that’s been pushing and pummelling us for so long – lest we may have missed it’s message! Uranus in Aries (revolutionary energy that demands brand-new change) cracks open and reveals the old stuff that has been swept under the proverbial carpet (Pluto) – in a nutshell, whatever we’ve been numbing out, running away from or just flat-out denying, is very likely to come drifting up to the surface… again! This goes further than ourselves of course, to include the governments, the banks, the climate, the state of Mother Earth – the whole caboodle. No doubt about it, things are coming out into the open and something is shifting on our little blue planet. A good clue as to how the energy may be playing out in your own life is to become very aware of how your body reacts, when an outer challenge hits you like a Thunder God. You know the feeling… there you are, happy as a sand-boy, when out of the blue, there’s that sms, that email or somebody says or does just the thing, that in an instant has the ability to reduce you to a quivering lump of jelly or a raging inferno. Sneaky little pain bodies, hanging out in the basement of our unconscious, waiting for Uranus in Aries to come and break em out! Every time that happens, right there, the Universe is presenting us with yet another opportunity to notice, inquire about, surrender and clear… all the while being the ever-loving, ever-patient parent to ourselves. If you have your Natal chart and understand a bit about houses, the house that contains 15 Degrees Capricorn represents old fears, beliefs and baggage that could do with a little more clearing. The house that contains 15 Degrees Aries, is where you are being pushed to assert yourself and move forward. If you haven’t had a reading for a while, now would be a good time. For further clarification of whats coming up for you– if you keep a journal, (or just have a really good memory) think back to the previous dates that the square was exact and see if you can find a pattern. June/July 2012; September/October 2012; May/June 2013, October/ November, 2013 , April 2014; November/December 2014. New moon on the 20th March is a total solar eclipse, that falls at the very last degree of Pisces, the last sign of the zodiac, This is a very powerful time to dump whatever we no longer need, so that we’re clear and free to start the new Astrological year, when the sun enters Aries the next day. Along with the Sun in Pisces, we also have a batch of personal planets in Aries for most of the month. There are no two signs that are less alike than the Fish and the Ram. Focused Fiery Aries is a Yang sign – masculine, driven, in control. When the Warrior is in balance, we are able to initiate, pioneer and send our beautiful courageous energy out into the world, for all to see. When he’s out of balance, the energy is a little like a run away fire, burning everything that stands in the way of achieving what he wants – hot-headed, tantrum-throwing, aggressive and self absorbed are some words to describe an Aries/ fire imbalance. And then there’s dreamy, watery, seductive Pisces, a Yin sign – feminine, receptive, imaginative and connected. When she’s in balance, we are able to be more creative, more compassionate, surrender more, let go of what we don’t need, and connect with the Divine more deeply. When she’s a raging torrent however, we become overwhelmed, delusional and escapist, often reaching for the nearest thing that will numb the pain and take us into another zone. So how do we deal with these polarities? The Autumn Equinox on the 21st March gives us a clue. The equinox signifies the balance point in our year, where day and night are equal in length. It symbolises the union between Yin and Yang; the inner world and the Outer world; Water and fire; Sun and Moon, Feminine and Masculine; the unseen and the seen; logical and intuitive, conscious and unconscious. What we’re being called upon to do right now is to really integrate and balance the male (yang) and the female (yin) within ourselves. Whenever we can bring ourselves into our heart centre, (which is the unity point between masculine and feminine), we move into neutrality, into a state “beingness” rather than “doingness” and it’s there we find peace and unity. Gently imagine gathering your energy into a core centre line running from above your head to beneath your feet, spreading out like roots into the earth. Try it now. …Seriously, you can do this at any time during the day – while driving, standing in a queue, dealing with a tricky customer – it takes seconds and you do not have to be sitting in the lotus position meditating. I practiced it whilst sitting in a queue at SARS yesterday (not my best place in the world) and I have to tell you, it really helped! As we all know from the huge amount of red hearts and roses around, tomorrow is Valentines Day. Although I’m not crazy about the commercial hype around these holidays, I really am rather keen on the whole love thing. 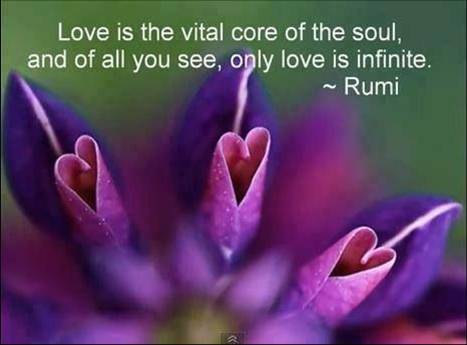 Love in the deepest sense really is the only thing that matters, whether it’s for ourselves, each other or the planet. In fact, the only thing that will save us is love. On Valentine’s Day, the love planets Venus and Mars will be locked into a close, cheek-to-cheek embrace in dreamy, gentle, fantasy-filled, flowing Pisces and the Moon is in fiery, funny Sagittarius. This combination definitely sets the scene for some romance and humour on Love day. Mercury started turning direct on the 11th Feb thankfully, so communications which seems to have gone sideways in the last few weeks should start to ease. Perhaps we’ll be able to start letting our innermost thoughts and feelings be known in a non-threatening way and open up our ears and our hearts to hear the truth behind the words. This is clearly the exact opposite of what went down in the “House” last night, which has left most of us South Africans feeling fearful, anxious and rattled. There really isn’t a whole lot we can do about it, other than keep our own vibrations as high as possible and send that frequency into the political situation in this country. Whether we’re in a romantic relationship or not, lets focus tomorrow on what’s good, what’s beautiful, what we’re grateful for… right now. Lets treat ourselves and those around us as if we are the most precious beings on earth! Welcome to February everybody. During the first few weeks of the month, we have the Sun and Mercury (Retrograde) moving through Aquarius. Full moon is in Leo on the 4th (which puts the focus on self love) and New moon is in Aquarius (for the second time in a row) on the 19th, (which is about detachment, higher perspectives and freedom). Last, but certainly not least, we have a whole school of planets swimming through Pisces, adding compassion, connection and flow to the mix, as well as the chance to unveil unconscious patterns of self destruction and victim-hood. So if we put all this together, we are being presented with another opportunity to compassionately love ourselves and others, by detaching from our stories and seeing things from a higher, broader perspective. With this being Valentine’s Month, what if, in addition to lavishing love, attention and gratitude on others, we gave ourselves roses, took ourselves on a date, assured ourselves of love and acceptance, exactly as we are? What if we treated ourselves in the way that we’d like our lovers or perfect parents to treat us? I deeply resonated with a beautiful talk by Matt Kahn, called Emotional Oneness, where he says that our dark side appears from the shadows, when we ignore our inner child. He urges us to engage with the innocence of our hearts, saying “The real spiritual journey is the transforming of inferiority into the autonomy of the Infinite one that you are. From inferior to infinite, one “I love you” at a time”. 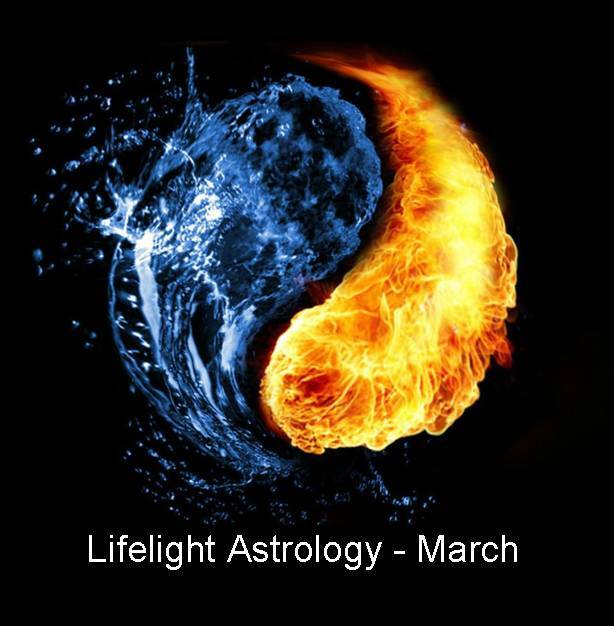 Listening to Matt and looking at the planetary activity of the month, I was presented with the image of a fish (Pisces) being unhooked (Aquarius) and freed to be the full expression of itself (Leo). So how do we let ourselves off the hook and get that love flowing? The first and probably most important and practical way that I have found to do this is moment-by -moment re-parenting. This means being compassionate with ourselves when we “mess up”? 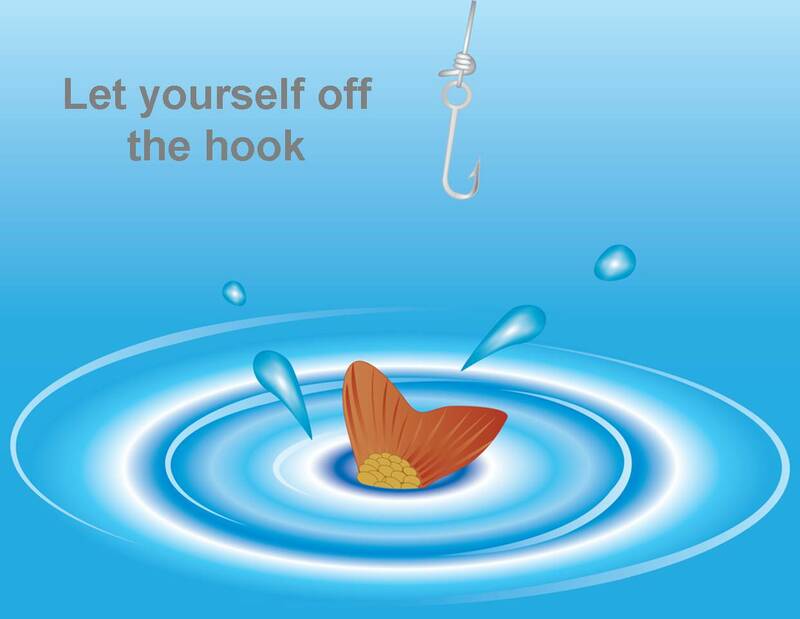 We all know what it’s like to spiral down into a place of judgement and self sabotage, but this month, we have the opportunity of practicing the art of unhooking ourselves before we slither down the slippery slope. And we do this by loving ourselves through it. A dialogue ensues that goes something like this. “Well there you go again… If you were more careful, more conscious, more perfect, this wouldn’t have happened… Look at the mess you’ve made…. Now you’re going to have to spend a whole lot of time and energy cleaning it up… By this time, I’ve already started to make my descent down the slope, at which point its quite tricky to get off. Gathering momentum, the dialogue quickly starts to get more and more personal. The cup is forgotten, as I enter into a full blown diatribe with myself. I may start calling myself some names that I wouldn’t dream of calling anybody else and very easily end up concluding that I’m just a big old failure, that nobody will ever love me and that I should go into the garden and eat worms…. all because of a damn cup. Whats happened here is that I’ve been well and truly caught by my old unconscious conditioning. My inner child is in agony, my shadow self is running the show and my pain body has taken me down – hook, line and sinker. In that moment, I’m letting myself off the hook, loving myself and accepting that it’s ok and I’m ok. Moments later, the cup is forgotten, I feel fine about myself and I can get on with the day. The cup still got broken, but my “story” about it has changed. In other words, when I’m able to compassionately detach in the moment, I shift into a higher state, unhook myself and I’m free. For me, I need to be ever vigilant of the slippery slope and my gentle inner parent has to be standing very close by, to love me unconditionally. But, the more I do it, the easier it gets and these days I can often catch myself before I start the downward slide. I do believe that only when we’re able to love ourselves unconditionally, can we extend the same to other people in our lives. I think one of the biggest hooks that take us down is our expectations. As soon as we expect something to be the way we think it should be, or expect somebody to behave in a way we think they should behave, there’s a good chance we’re going to be disappointed,which then leads to suffering. Take the expectation away and we take the suffering away. Carolyn Myss advises “Have no judgements about your life, no expectations and give up the need to know what happens tomorrow. Be fully present and appreciate all that is in your life right now” … and that includes the seemingly “bad things” in our lives. We really have no idea, in the broader scheme of things, what is good or bad. I know this seems impossible sometimes, but I believe we can achieve this kind of liberation if we practice, with infinite patience, one step at a time. One of the greatest liberations in my life came about when I was able to accept that a member of my family could not, for their own reasons, give me the love I thought I deserved. I remember the moment that I finally decided to let the person off the hook and stop expecting their love, like it was yesterday. The energetic and emotional release was palpable and really did feel as if a hook was being removed from me. By letting this person off the hook I was setting myself free as well. What really helps me from getting hooked into the should haves and shouldn’t haves of victim-hood, is to see life as an ongoing stage show, with every person and every situation being perfectly choreographed to present me with the opportunity to learn and love. I often forget this and get the mutters, but it quickly comes back into focus when I do an Astrology session for somebody. Every time I do a chart, I’m shown that there is an exquisitely perfect, beautiful order in the Universe. There are no accidents and everything is unfolding exactly as its meant to unfold, as part of a big and intricately designed plan. We are exactly where we are meant to be… no mistakes. So with all this in mind, what if we stopped worrying so much, accepted our lives as they are and cut ourselves and others a little slack?